The uptake of C14O2 by the roots of intact tomato plants from solution containing Na2C14O3 was studied at different light intensities as well as in darkness. 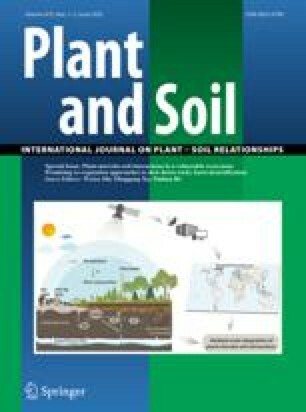 Where plants had previously been “starved” for CO2 for 12 hours, a higher rate of C14 uptake was observed than with plants which had been transferred directly from the soil to the radioactive solution. In general, the C14 content of the roots was slightly higher than that of the shoots. At light intensities under the compensation point and in darkness the C14 content of the shoots relative to the roots decreased. This was accompanied by release of C14O2 during respiration, indicating that the absorbed C14 was readily translocated upwards and released as C14O2 under these conditions. At light intensities above the compensation point no C14O2 was released.